Hello, Jewelers, Gemologists and Enthusiasts! Because of my career in vocation and training development and my knowledge and love for gemstones and jewelry, I have been commissioned by associates and contributors of the insurance industry and professional gem labs, as well as professional appraisers, jewelers and gemologists to create advanced training materials on a vocational education scale for mid-market, independent participants in the jewelry trade. It is not to be taken lightly! This is the first time our industry will be truly actualized into academia and incorporated into its vocational systems. Our intention is to add Professional Jewelry Appraiser to the labor department’s list of vocations. Our objective is to aid this industry niche in sorting out and working within the new, developing regulations and insurance industry expectations, as well as teach upcoming developments such as new mine finds and technical advancements. But, in offering this training, it is not our intention to cause anyone to go through additional learning curves in order to become familiar with unnecessary computer applications, programs and other gizmos that they will not need after their training is completed. This Project will be made easier with your help. In that light, I want to ask the help of those who might be interested in this development to respond to this simple survey by either commenting here or by emailing me at danna@yourjewelryguide.com. Simply tell me which of the following computer skills you have. This will indicate to me how the training should be developed for the niche market I mentioned above. Camera not necessary for #4. Whether you are personally interested in advanced training or not, your participation in this survey will help us immensely in our endeavor to modernize and update the industry. 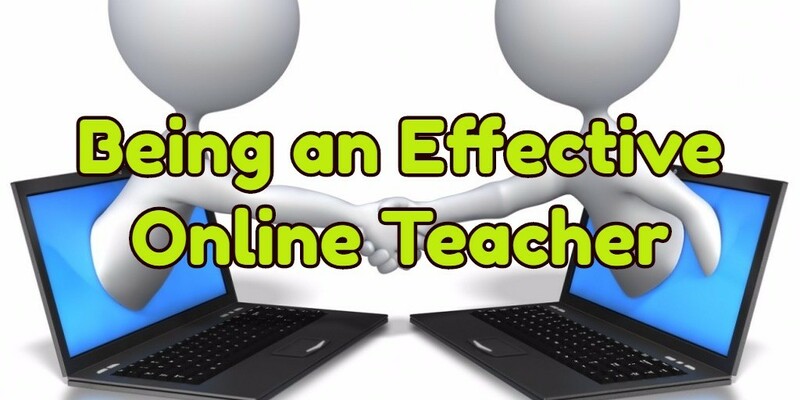 One of the advantages of teaching one-on-one and/or in person is lost in most online teaching environments. That advantage is… direct eye contact. Direct eye contact is valuable because the teachgaugen guage the degree to which the student is (1) paying attention, and (2) 'getting it'. The answer to that problem lays in two principles. One of those principles is well-known to military instructors. The other principle is well-known to salespeople. And of course, military veterans who get involved in sales….they know both, right? At the start of most military instructional classes, the instructor says something like, "OK Gentlemen, in this class you will learn _________, ________, and ________!" To put it another way, the instructor clearly states the learning objectives of the class. Over the process of the entire class, the instructor tells the students what they're going to learn, he/she teaches it, then he tells them what they learned (preferably followed immediately or soon thereafter by some sort of test). It amazes me that so many online instructors never do that although some initially don't but later do. The other thing, or perhaps I should call it an annoying habit, that many online instructors have is that they assume the student is seeing the same they are seeing on the screen. But what if the student isn´t? It could easily happen. For example, what if the student doesn't have the same screen resolution as the instructor. In such a case, the student has to scroll around trying to see what the teacher is doing. What if the student's internet connection is slow and there's a delay of a second (or more) between the instructor's voice and the movement of the instructor's cursor? Or, worse yet, what if the instructor is so familiar with the material being covered that he/she just hurriedly runs through the material being covered… mistaking his/her familiarity with it for how well the student knows it? More specifically, what about situations where the teacher moves his cursor around the screen so rapidly that the student doesn't have time to catch where he's going and/or what he's doing? This is a problem which, when added onto the previously described problems, really makes for a confused student. Teachers, in my opinion, should verbally describe what they're doing as well as actually do it. For example: "Next…see this button here in the upper right-hand corner of this page? This is what you click….like this." Next… the teacher describes what happened and what the student should have seen. For example: "See that?" And then the teacher should ask some sort of question (in sales….known as a 'trial close', to determine for sure that the students saw what they were supposed to see and learned the right point from it. In the vernacular that's called, 'being on the same page'. It's always been my opinion that teaching occurs in layers…. like painting a car. If the painter doesn't put a good 'base coat' or primer coat on the item being painted, even the most expensive and carefully applied finishing coats are not going to stick. But if the teacher lets each successive coat of paint cure properly, and tests it in some way, then the next coat will be to good purpose. From your perspective as a teacher (if you are one) illustrating how well YOU know something is not the same thing as teaching it. You, the teacher, need to put yourself in the student´s shoes and realize that they don't know what they don't know. If fact, they might not even know enough to realize what they don't know. Furthermore, for various reasons, they might be reluctant to ask questions. In these examples, the advantage of the leverage afforded by the internet occurs at the expensive of the advantage of traditional teaching. But it doesn't have to be that way if you, the teacher, are aware of the potential liabilities. A question for you: are you an online student? If so, what characteristics do you find most conducive and/or detrimental to your online learning experience? Before we get into what defines a mobile-friendly website, let’s first discuss why this is even relevant. About a year ago, Google released its algorithm known as Mobileggedon. In essence, this algorithm penalizes websites that are not “mobile-friendly” by decreasing that website’s ranking in mobile search results. So what may have been the catalyst to releasing Mobileggedon? Since 2014, mobile devices have been the primary devices utilized to access the internet. Desktop is still important, but it is no longer considered first-line. Therefore, Google’s Mobileggedon algorithm is like a “tough love” approach in encouraging businesses to always design their websites with mobile devices in mind. 1) Do NOT design a separate mobile website from your desktop version because it is redundant! Think about it.Why would you create two different websites (mobile & desktop versions) that contain the same content?Google already penalizes websites for duplicate content.So why would you allow your website to be penalized for duplicate websites? According to Wikipedia, RWD is an approach to web design aimed at crafting sites to provide an optimal viewing and interaction experience—easy reading and navigation with a minimum of resizing, panning, and scrolling—across a wide range of devices (from desktop computer monitors to mobile phones). From a technical standpoint, RWD employs use of flexible layouts, flexible images, and cascading style sheet media queries. This allows a web page to be able to detect the visitor’s screen size and orientation; and change the layout accordingly (think auto-adjusting to fit your mobile device’s screen). The viewport is a virtual area used by the browser-rendering engine to determine how content is scaled and sized. The viewport meta tag tells your browser that the web page needs to fit the screen. In the above example, users typically must rotate their mobile screens, pinch to magnify, etc so that the content can be seen. Applying a viewport is critical in creating web pages that are mobile-friendly. This reflects the browser's default assumption that content should extend 980 pixels wide. Mobile browsers must make that assumption in order to render pages that are not optimized for display on mobile screens. There are many different configurations that you can specify your viewport to control. To explain the technical details any further would be beyond the scope of this article.The idea here is to understand the concept (and importance) of applying viewport meta tags to your webpage. Ideal font size is 14px.When creating labels or forms, consider reducing the font to at least 12px. Same concept applies for buttons. For optimal viewing, consider creating button size dimensions of at least 44px by 44px. According to Wikipedia, image resolution is the detail an image holds and can be applied to describe digital images, film images, and other types of images. Essentially, a higher resolution means more image detail. Having extremely high-resolution images will prevent pixilated or even blurry images when viewed on a retina-quality screen. Using auto-zoom may interfere with a web page’s layout elements, especially for images and navigation content. They may appear small or too large in your layout. The solution here is to make use of viewport meta tags.Again, to describe the technical details of this process in any more detail would be beyond the scope of this article. Because YouTube already utilizes responsive web design (RWD) coding, any risk of difficulties in viewing videos on a mobile device are theoretically eliminated. Always include a “go to full website” or “view desktop version” option at the bottom of your site. This will give your website visitors the ability to choose how they want to view your website’s content. Even after your responsive website is complete, the testing never ends.Be sure to test your webpage on various mobile devices: Apple, Android, Windows, etc.Leave no stone unturned including buttons, layout, font, displays, etc. Even more important is to allow someone who fits your target [demographic] user.Consider including someone who does not have an extensive technical background especially if this person comprises your primary demographic of potential users/visitors of your website. Did I miss anything? Your comments are always welcomed. According to Wikipedia, a professional network service (also known as a professional network) is a type of social network service that is focused solely on interactions and relationships of a business nature rather than including personal, non-business interactions. When working on a project, consider finding someone from a department/discipline, etc. to take a look. Having the objective opinion from someone outside your area of expertise may be just what’s needed in order to uncover issues that may have otherwise gone overlooked. If the project involves a product to be employed by a certain demographic, then it would probably be a great idea to make sure that you’ve acquired the objective opinions of individuals from that group, especially if you (the project manager) don’t adequately represent that demographic). Volunteering to assist others from other departments, sectors, etc will yield an opportunity to better understand the perspectives of others who are not within your area of expertise or department. This will not only provide a forum for additional professional engagement outside your usual professional network, but also allow for a non-biased opinion on a particular issue within the project. For example, you could invite a colleague for coffee or brunch, explaining your interest in projects they may have done in the past or are currently working on. Since this is an informal meeting/gathering, this would also be a great time to determine any common interests outside the workplace. The key here is finding the balance between professional and personal matters during the interaction. It would also probably be best to limit any informal gatherings to daytime hours. Establishing rapport with specific objectives in mind such as learning more about the company and discussing commonalities outside the workplace will likely make it even easier to eventually work on a project with that person or to simply learn more about opportunities for growth within the company. This strategy is beneficial in several ways including extending your professional sphere of influence and establishing rapport with other likeminded individuals (professionally and/or personally). Essentially, it is one of the easiest ways to network while looking for opportunities to advance your career. In my industry of healthcare, I am a member of several professional societies including the National Medical Association, Medical Society of Georgia, and the American Board of Internal Medicine, to name a few. Obviously, this is easier said than done and there can be a fine line between feeling needed and feeling abused. With that said, this is still a great way to further establish rapport with colleagues in and outside your department or professional background. It is a great way to show that you are reliable but be sure to not overextend yourself. Do what feels comfortable and reasonable. Your comments are always welcomed! Did I miss anything? Please feel free to share. Different teams are going to have different solutions for who does what when it comes to inbound marketing. At a smaller company, inbound marketing strategy may fall entirely to one person to create and execute. A larger team may have more specialized positions in content, social, brand, etc. or really any combination of the above tasks among any number of people, depending on the company’s needs an the team’s strengths. So where does SEO fit in to all of this? Is search engine optimization as we know it being absorbed into other marketers’ jobs? Rather than being threatened by other disciplines’ encroaching on our territory, or overwhelmed by the volume of tasks that go into a robust inbound marketing strategy, modern SEOs should be embracing the rise of inbound as a holistic approach since it allows us to do better marketing. The days of being handed a blog post and told to add keywords to it are coming to an end, and that’s a good thing! What happens when a company has a lot of employees with SEO knowledge, but no SEO? I learned what that looked like when I started at SEOmoz. Obviously, lots of folks at SEOmoz understand SEO strategy and why it’s important, but it had been several months since an official SEO had worked at the company. The result? A lot of elements that were important to SEO had fallen through the cracks or been back-burnered. Content producers knew that keywords were important, but didn’t know which ones to be using and where. New features had been added to the website in ways that were great for users, but created unnecessary headaches for search engines. Even though a lot of people on the marketing team understood the basic tenets of SEO, it was nobody’s job to make sure SEO was taken into account; they all had their own jobs to do. It’s one thing to know that SEO is important – it’s another to know what to pay attention to and look for, especially if your core competency is in another field. that our designers, content creators, social media managers, PR representatives and the like are working together on a search-engine-friendly strategy that encompasses all of their efforts. Analyzing keyword data and trends, and tracking traffic and links per content piece, to help the content manager create compelling, keyword-rich, linkworthy content. Working with the dev team to keep the site fast, crawlable, error-free and trackable. Building relationships with influencers in the space, and leveraging those relationships for links and shares. Syncing with the Director of Marketing and PR contacts to enact a solid, consistent brand strategy, then making sure it’s seeded to the right places for maximum authority and impact. Diving into analytics to support conversion rates; sharing analytics data with business development and account management teams to aid retention of search-driven customers. Collaborating with the UX and design teams to make sure a site that’s a lovely experience for users is also a useful experience for search engines. 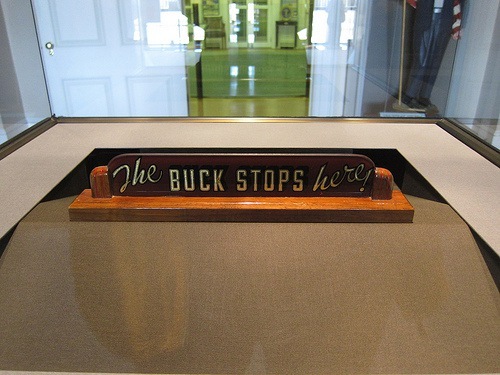 Consistently evangelizing SEO internally through ongoing education, and being a staunch advocate for SEO best practices in every meeting – the buck stops with you. By starting to view SEO as a series of collaborations with more specialized colleagues, we can build inbound marketing programs as a team effort. One thing I’ve heard Duane Forrester from Bing speak on several times recently is the search session: the idea that people aren’t using search engines to make one-and-done searches, but rather to make a series of searches over a period of time that could be anywhere from several minutes to several days, before arriving at a decision that might result in a conversion. An example might be a user who starts with “honeymoon destinations” and searches for “beach honeymoon,” “romantic beaches Hawaii” and “Maui vacation packages” before finally searching on “cheap flights to Maui.” That keyword might be the one that gets the conversion, but each search is an opportunity to build brand relationships and influence the final purchase. Even when consumers aren’t actively searching for things, they’re still building opinions about and relationships with brands via social media – not only through the conversations they’re having, but also through the content they consume. People spend a ton of time on the internet, and most of it isn’t on Google. A robust, marketing-team-wide inbound marketing strategy is perfectly positioned to market to this new breed of searchers. In order to really start some next-level, better-than-ever organic search marketing, SEOs need to be cognizant of the fact that organic search is just part of a larger experience. To ignore inbound marketing in favor of tunnel-vision focus on SEO means fewer opportunities to engage with customers (not to mention fewer opportunities for links, shares, and other awesome SEO benefits). We’re all in this together. Let’s get out there and make inbound marketing better. Glenn E. Fleming, MD, MPH on MarketHive: Welcome to My Page! Physician, small business owner, budding real estate/land investor, & educator on MarketHive, a social marketing platform for entrepreneurs that has the combined power of Facebook and LinkedIn. I think of myself as just a regular guy who is passionate about those issues I believe affect us all. Those matters include (but are certainly not limited to): LGBT equality, healthcare reform (which would include health information technology reform), education reform, prison/criminal justice reform, politics, government, business/investing, and more. auto-responders, virtual conference rooms, blog casting, blog sharing, campaigns/press releases, capture pages, email plugins, daily live workshops, and lead generation exclusively for entrepreneurs. In essence, MarketHive is all about empowering entrepreneurs through social engagement and marketing.